Since purchasing the 160,000 square foot office park in late October, CB Equities and their broker, R.W. Holmes have attracted 16 companies, leading to more than 62,000 SF in new leases. Knowledge Park (formerly Mount Royal Office Park) in Marlborough, MA, sits on the on ramp to I-495, providing employees of the Park with immediate access to the interstate. Tenants are taking advantage of all the improvements in the Park including upgraded common areas throughout all three buildings, the installment of new glass entryways, fitness center with showers, along with the Club Room and outdoor patio. The patio will provide employees with an opportunity to get out of their office, break out into small groups and spend some of their work day enjoying the fresh air. 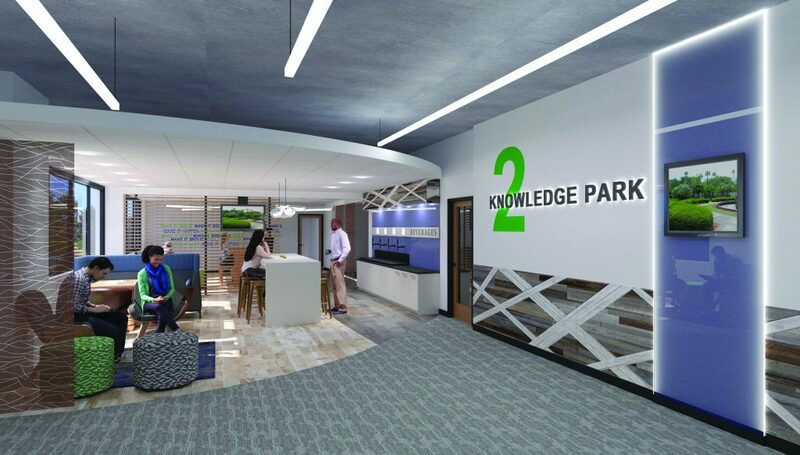 The Club Room will provide break-out areas for impromptu meetings, a gaming room, a video conferencing room, and a traditional conference room for all tenants to use. Additionally, ownership is installing a Coffee/Beer/Wine bar. 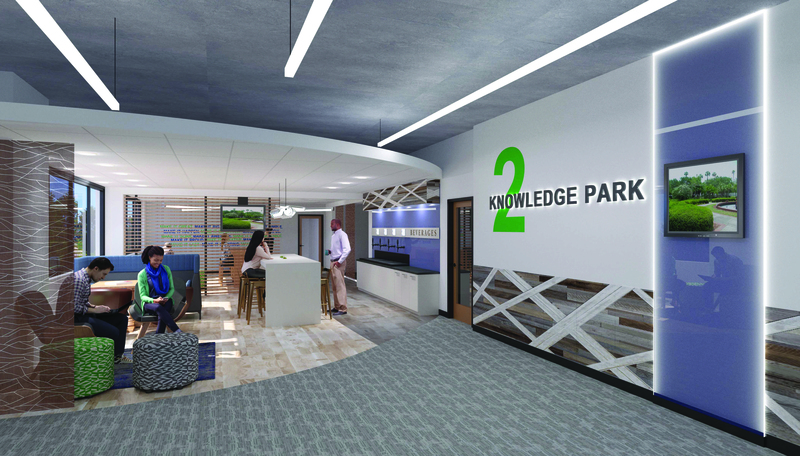 “We have seen this bring tenants together, and quite honestly, these are the types of amenities younger employees are looking for”, said John Conley, one of the owners of the office park. “Our goal is to give tenants a place where they want to collaborate and hang out. With the modern fit outs and amenities, we are bringing into the park, coupled with numerous amenities within walking distance, tenants will be in a much better position to recruit/retain top talent,” said Principal of Property Management Bob McNamara. New companies coming into the Park are in the health, recruiting, software, HR, technology, and legal fields. “We are seeing a lot of activity come through, and perspective tenants have been able to see firsthand the transformation as it occurs,” said Jim Bartholomew, Broker for R.W. Holmes who represents the Park. “Some of the biggest things tenants are looking for are access and amenities, and Knowledge Park has the best of both worlds.” Craig Johnston, also from R.W. Holmes, credits the vision of the new ownership in being able to both retain and expand several tenants whose leases were expiring. “When we first took on the project and approached existing tenants about renewing, they were a little slow to respond. Once they saw the vison for the park, and how quickly the work was being done, they wanted to be a part of the transformation.